The Happytime Murders When the puppet cast of a '90s children's TV show begin to get murdered one by one, a disgraced LAPD detective-turned-private eye puppet takes on the case. Life of the Party After her husband abruptly asks for a divorce, a middle-aged mother returns to college in order to complete her degree. Cook-Off! Amateur "chefs" from around the country compete for a million dollar prize in the ultimate food fight. The Hangover Part III When one of their own is kidnapped by an angry gangster, the Wolf Pack must track down Mr. Chow, who has escaped from prison and is on the lam. 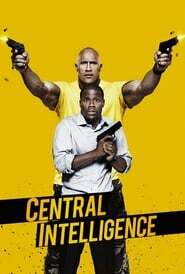 Central Intelligence After he reunites with an old pal through Facebook, a mild-mannered accountant is lured into the world of international espionage. The Boss A titan of industry is sent to prison after she's caught for insider trading. When she emerges ready to rebrand herself as America's latest sweetheart, not everyone she screwed over is so quick to forgive and forget. St. Vincent A young boy whose parents just divorced finds an unlikely friend and mentor in the misanthropic, bawdy, hedonistic, war veteran who lives next door. The Life of David Gale When anti-death-penalty activist David Gale is convicted and condemned to death for the murder of a colleague, reporter Bitsey Bloom sets out to learn the story behind Gale’s crime. What she finds challenges her belief in Gale’s guilt and, finally, in the justice system.